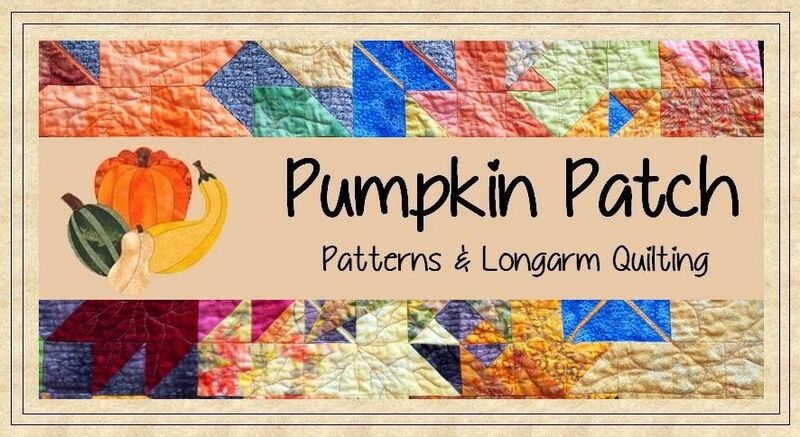 This website is operated by Pumpkin Patch Patterns & Quilting. Throughout the site, the terms “we”, “us” and “our” refer to Pumpkin Patch Patterns & Quilting. Pumpkin Patch Patterns & Quilting offers this website, including all information, tools and services available from this site to you, the user, conditioned upon your acceptance of all terms, conditions, policies and notices stated here. By visiting our site and/or purchasing something from us, you engage in our “Service” and agree to be bound by the following terms and conditions (“Terms of Service”, “Terms”), including those additional terms and conditions and policies referenced herein and/or available by hyperlink. These Terms of Service apply to all users of the site, including without limitation users who are browsers, customers and/or contributors of content. The materials displayed on this Site are the property of Pumpkin Patch Patterns & Quilting/Beatrice Rieske and are covered by the provisions of the Canadian Copyright Act and related regulations and international agreements. Reproduction, publication and commercial redistribution of the materials on this Site, either partially or in their entirety, is prohibited except with the consent of Pumpkin Patch Patterns & Quilting. Certain products or services may be available exclusively online through the website. These products are digital files (ePatterns). Because of the nature of these products they cannot be returned and are not refundable. All sales of digital files are final. In no case shall Pumpkin Patch Patterns & Quilting, our directors, officers, employees, affiliates, agents, contractors, interns, suppliers, service providers or licensors be liable for any injury, loss, claim, or any direct, indirect, incidental, punitive, special, or consequential damages of any kind, including, without limitation lost profits, lost revenue, lost savings, loss of data, replacement costs, or any similar damages, whether based in contract, tort (including negligence), strict liability or otherwise, arising from your use of any of the service or any products procured using the service, or for any other claim related in any way to your use of the service or any product, including, but not limited to, any errors or omissions in any content, or any loss or damage of any kind incurred as a result of the use of the service or any content (or product) posted, transmitted, or otherwise made available via the service, even if advised of their possibility. Because some states or jurisdictions do not allow the exclusion or the limitation of liability for consequential or incidental damages, in such states or jurisdictions, our liability shall be limited to the maximum extent permitted by law. You agree to indemnify, defend and hold harmless Pumpkin Patch Patterns & Quilting and our parent, subsidiaries, affiliates, partners, officers, directors, agents, contractors, licensors, service providers, subcontractors, suppliers, interns and employees, harmless from any claim or demand, including reasonable attorneys’ fees, made by any third-party due to or arising out of your breach of these Terms of Service or the documents they incorporate by reference, or your violation of any law or the rights of a third-party. This Site (excluding third party linked websites) is managed and controlled by Pumpkin Patch Patterns & Quilting from its location within the province of British Columbia, Canada. The Site is accessible from all the provinces and territories of Canada as well as from other countries around the world. By accessing this Site, the website visitor agrees that all matters relating to access to or use of this Site shall be governed by the laws of the province of British Columbia and the laws of Canada, without regard to conflict of law principles that may otherwise apply between the visitor’s home jurisdiction and the Province of British Columbia. The website visitor also agrees to attorn to the exclusive jurisdiction and venue of the courts of the province of British Columbia and acknowledges that it does so voluntarily, and is responsible for complying with local laws.